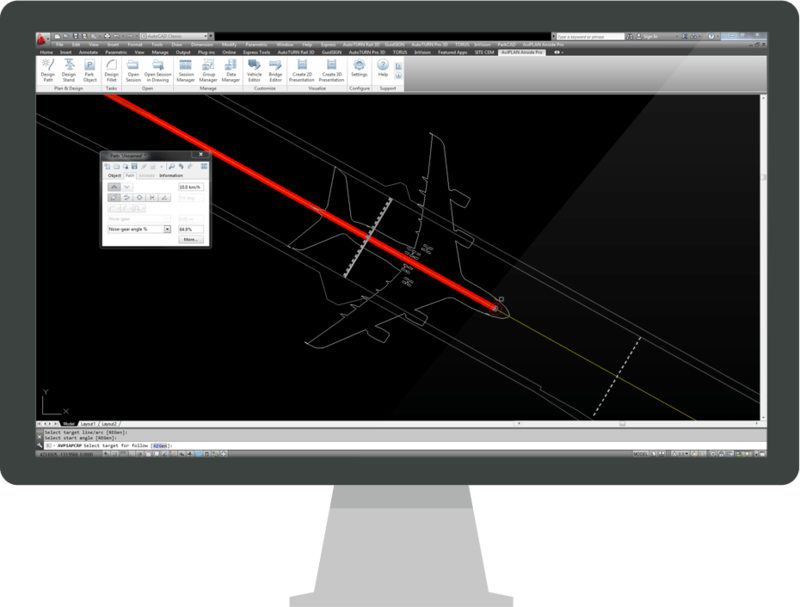 Aircraft or service vehicle turn analyses can be undertaken with ease with AviPLAN™ Turn. Conveniently switch between drive and turn modes to construct new paths or follow existing drawing geometry, all with the help of the intuitive ‚heads-up‘ display. With AviPLAN Turn, the user is always in full control and can generate detailed reports to prove the accuracy of results.